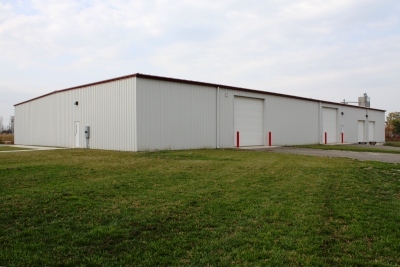 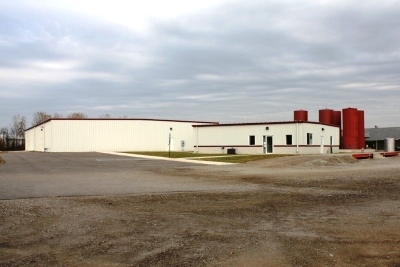 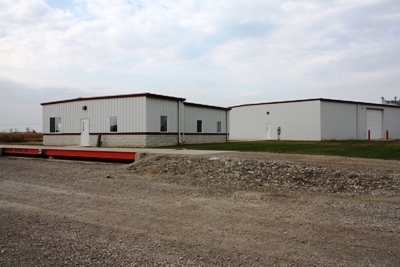 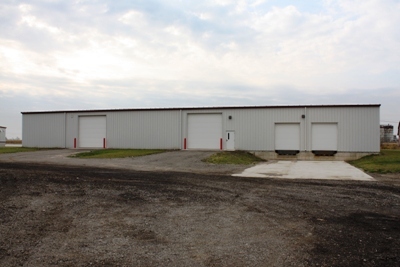 This pre-engineered facility has a warehouse building of 13,800 square feet and an office building of 1,784 square feet. 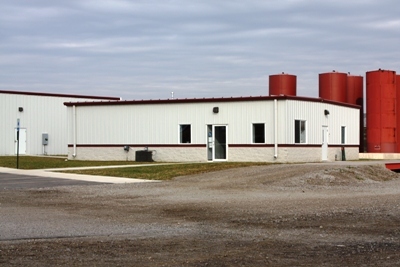 Both buildings have clear span rigid frames and vee-rib siding. 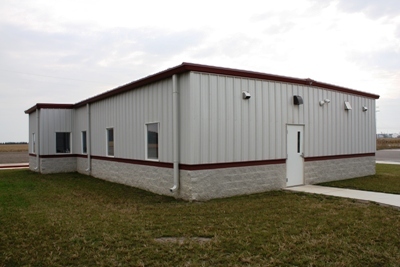 20-year galvalume standing seam roof panels cover a 0.5:12 pitched roof on the warehouse and a 1:12 pitched roof on the office.